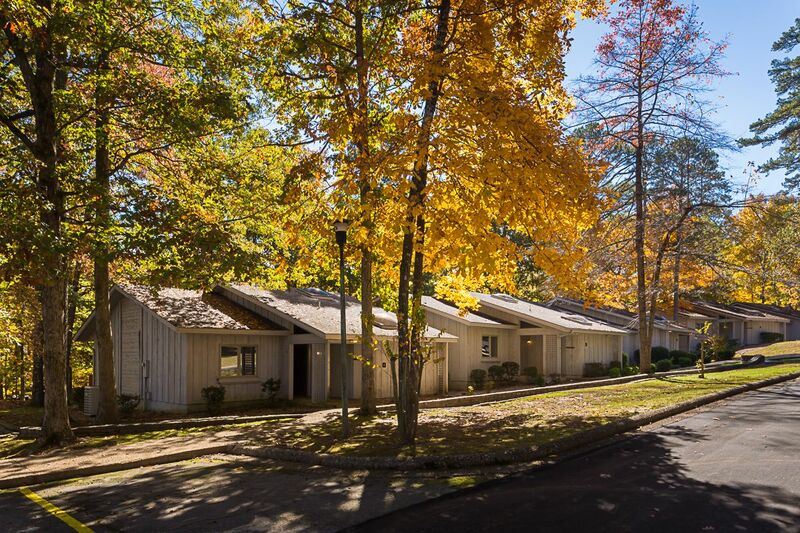 Hot Springs Village, Arkansas is the perfect place to enjoy the great outdoors. Located in the Ouachita Mountains, the beauty of the Natural State is evident here. Area visitors will enjoy eight of the best golf courses in Arkansas, tennis, spas, a thriving arts community, hiking, and an abundance of outdoor activities. Those traveling with children will love area miniature golf courses and the Arkansas Alligator Farm. And of course, a visit to this area is incomplete without visiting the world-famous mineral baths. Los Lagos at Hot Springs Village is ideal for relaxing and is the perfect place to start and end your day. One and two bedroom vacation condos include full kitchens, spacious living areas, quiet bedrooms, and scenic Arkansas views. Onsite you’ll find lake access, outdoor and children’s swimming pools, fitness facilities, and plenty of outdoor space to enjoy the resort. In the lobby, enjoy complimentary coffee in front of the fireplace.